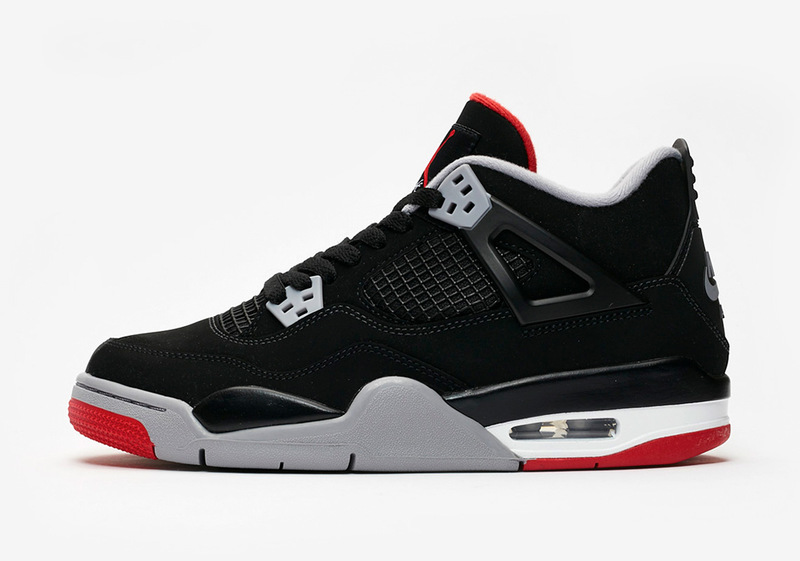 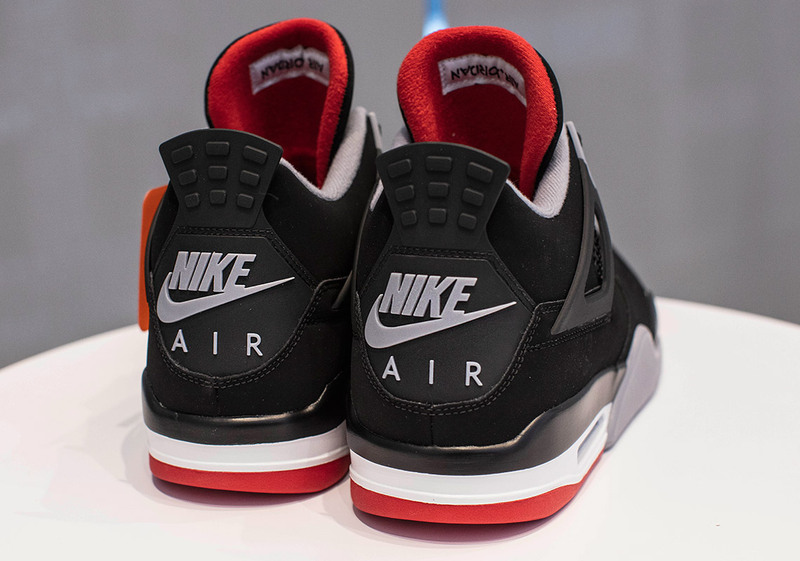 Tinker Hatfield created them, Michael Jordan seared them in the general public’s collective memory with a scintillating shot against the Cleveland Cavaliers in the 1989 NBA Playoffs, and in the 30 years since, the Jordan 4 “Bred” has gone on to become one of Jordan Brand’s most iconic sneakers of all time. 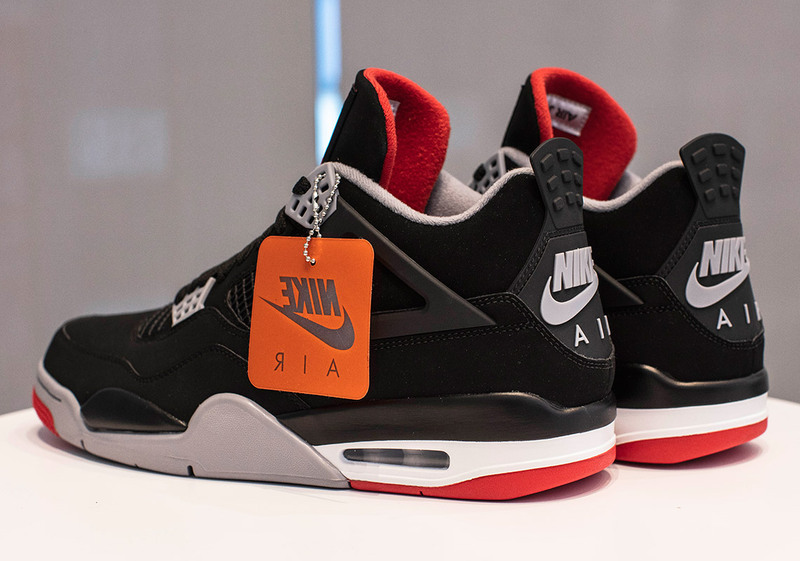 Now, they’re set to return in April, complete with an original detail that was absent when they last released in 2012: original Nike Air branding on the heel, a mark that was last spotted on the 1999 retro. 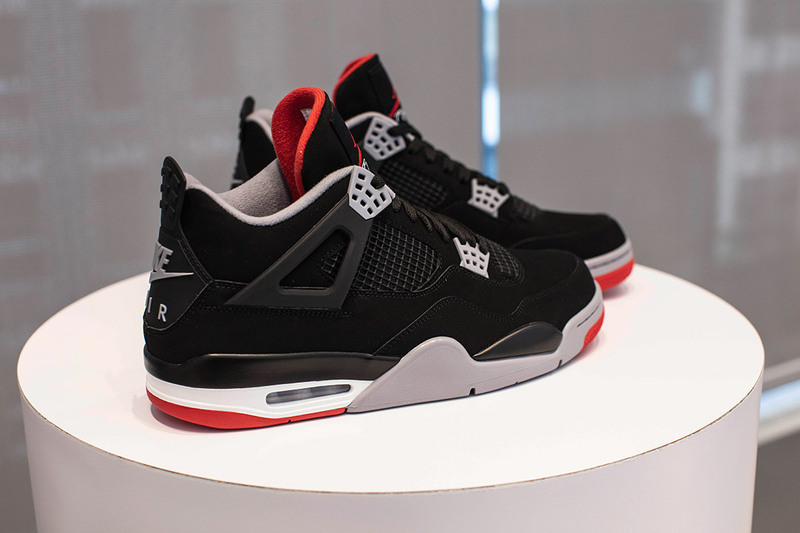 Apart from the aforementioned branded accents, the AJ4 introduced several other embellishments that have become iconic: they were the first Air Jordan silhouette to feature mesh-netted overlays, and also boasted a unique support and lockdown system provided by the iconic “wings” on the lateral and medial sides. 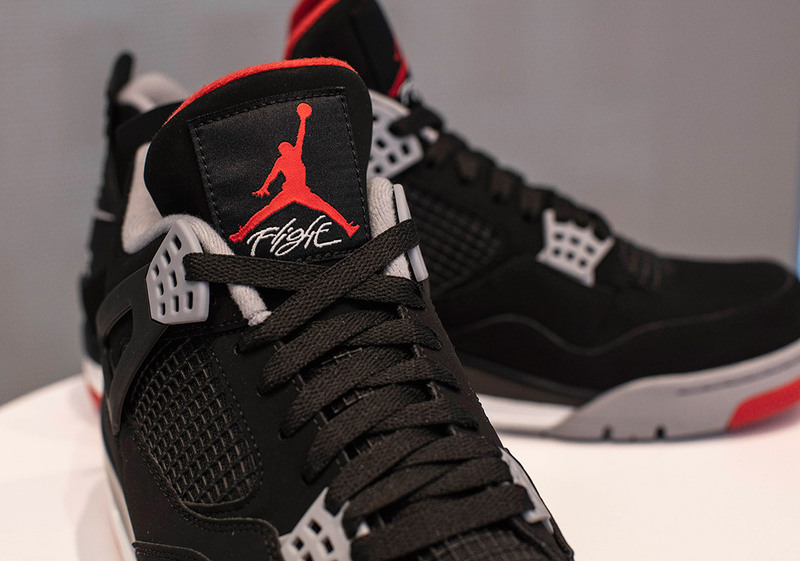 From a graphic standpoint, they also that introduced the now-omnipresent “Flight” concept to MJ’s signature line. 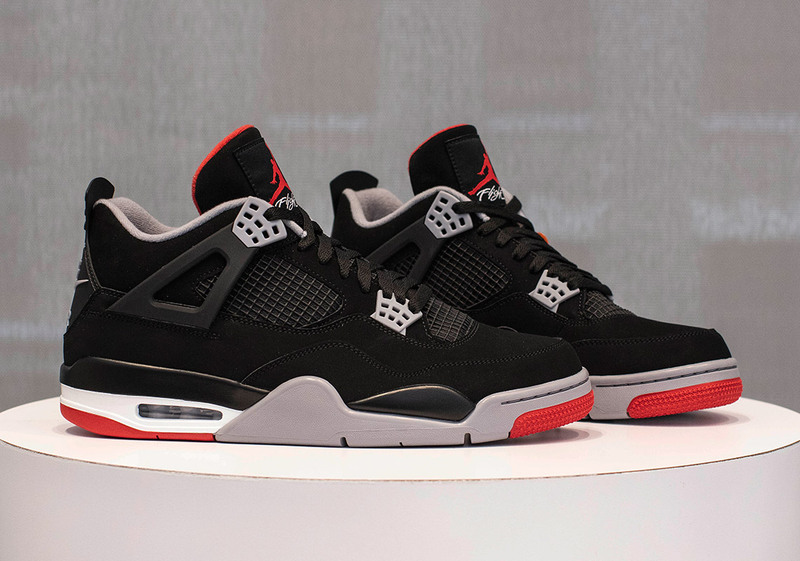 And all those signature details, embellishments, and tech are brought together by the beautiful combination of black, grey, and fire red that gives the shoe its name. 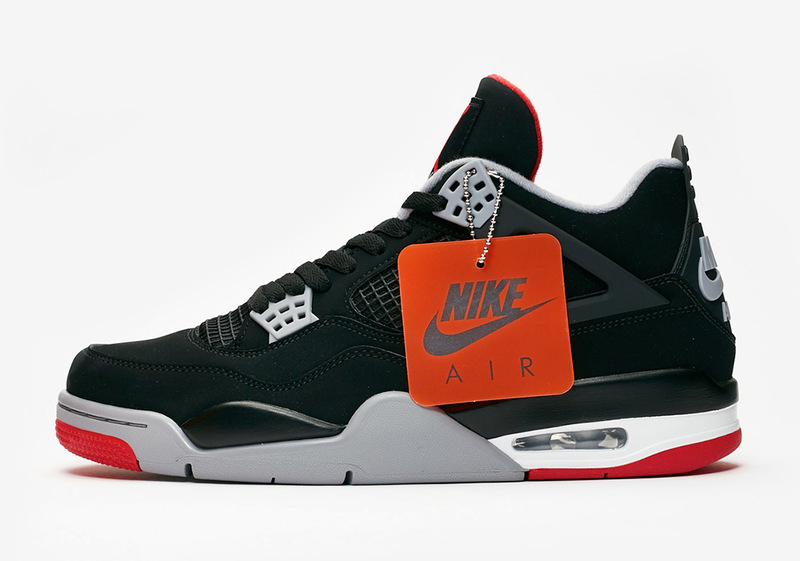 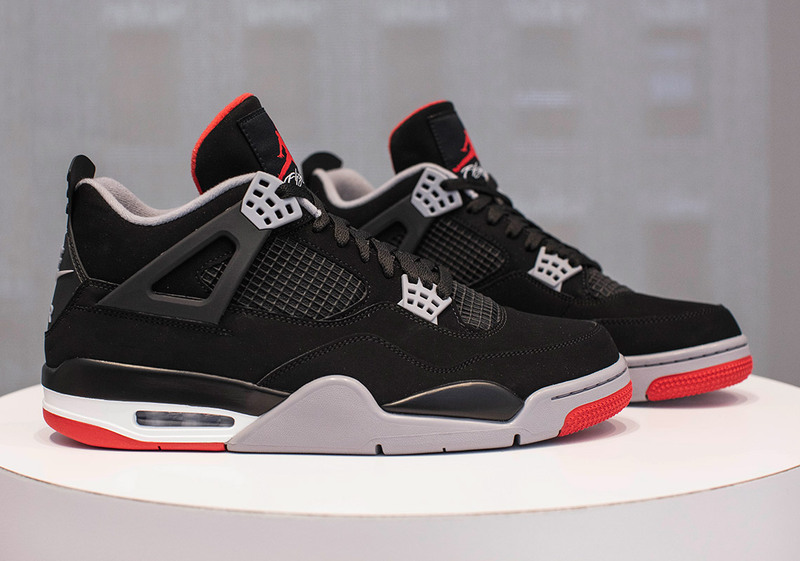 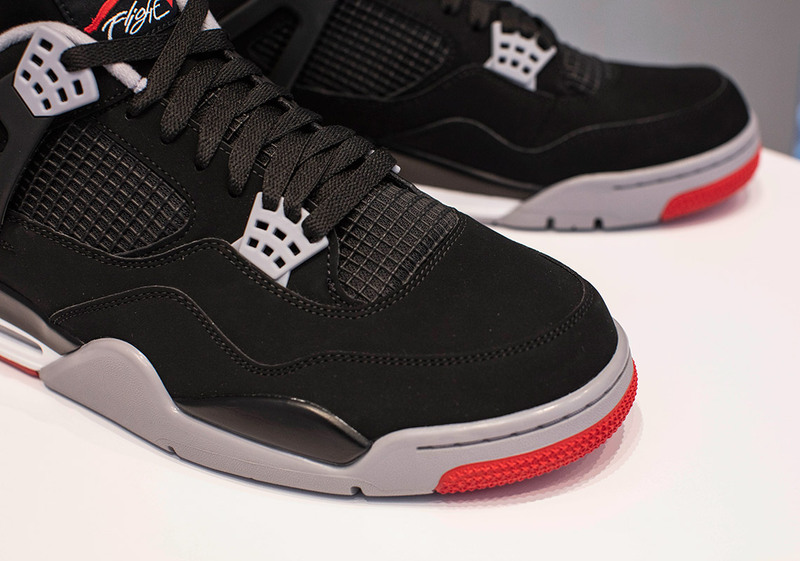 Get a detailed look at this carefully-remastered take of the Air Jordan 4 Bred below, and mark your calendars for their May 4th release.